National non-profit organization, Hear the Music Live, provides over 2,500 tickets to live concert events for foster pre-teens and teens throughout the nation this summer. National 501 (c)(3) non-profit provides free concert experiences for foster pre-teens and teens. Please consider donating! A pair of brothers who attended a concert described the experience as, “Overall we think it was an awesome time for us to bond over something different than our current or past struggles. We had so much fun..."
Summer 2013 was the biggest music filled summer for foster teens and Hear the Music Live to date. Over 2,700 foster pre-teens and teens enjoyed their first concerts throughout the United States this summer. Hear the Music Live is a 501 (c)(3) non-profit organization that provides free concert experiences for foster pre-teens and teens. To date, Hear the Music Live has sent over 14,000 youth to concerts nationwide. We couldn't have done this without the generous support of musicians, artist management, promoters, venues and other donors- thank you! Taylor Swift, American Idol Live, Breathe Carolina, Slightly Stoopid, Fishbone, Dumpstaphunk, Trampled by Turtles, Old Crow Medicine Show, Jonas Brothers and many others were a huge part of that first concert experience this summer season. Foster teens and pre-teens enjoyed concerts at House of Blues, BECU Zoo Tunes at Woodland Park Zoo, Gathering of the Vibes, the Rose Quarter, Santa Barbara Bowl and other favorite venues throughout the country. A very special thank you goes out to Live Nation and AEG Live for another great year of music! Hear the Music Live understands that pre-teens and teens in foster care homes may not have the opportunity to enjoy activities that other teens are experiencing. Hear the Music Live is the vision of founder, Steven Nornhold who has a life-long passion for music and understands that some teens are missing out on some opportunities that many others take for granted. 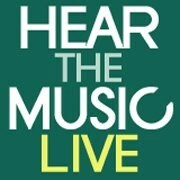 Hear the Music Live is always seeking donations for music events for foster youth! To get involved, donate or learn more, please contact aimee_white(at)hearthemusiclive(dot)org.